It is my goal to never censor comments based on political or ideological points of view. I will only delete those comments that are abusive, off-topic, use excessive foul language, or include ad hominem attacks. I douse a spam filter that catches 99% of spam comments. 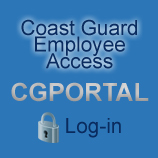 If you submit a comment and it is not posted within 24 hours, please feel free to contact me directly at editor@coastguardreport.org.